It’s Another Happy Birthday Dearest Jane! Happy Birthday to Jane Austen! I am always reminded as I trim my tree with one special ornament flown in all the way from Bath, England ….It’s that time of year again. Once again it is time to celebrate the birth of my favorite and undoubtedly one of the most influential and talented authors in all of history: Ms. Jane Austen herself. I always love talking about Jane especially with other Janeites who love her just as much as I do…mostly because she seems to cross all barriers and holds such a dear place in my own heart. She is beloved around the world and even non-readers know her name and work through various forms of media that now make her even more immortal. She continues to inspire and create for one simple reason: she is truly timeless. Her work is such an exquisite study of human nature that it can fit in any time period or place in history in which one might try and place it. Beyond that she continues to inspire writers today in amazingly large numbers whether their work be connected to her characters, herself or her memory. To help commemorate Ms. Austen’s birthday here at Stiletto Storytime I have invited two of my favorite Austen loving authors to share what Jane has meant to them personally. So fellow Janeites enjoy and do light a candle tonight in celebration while your peruse your favorite Austen masterpiece, giggle along with Bridget Jones or dream of Colin Firth….in any case have a fabulous Austen evening! “Three or four families in a country village is the very thing to work on,” you counseled your niece a long time ago. I hope you don’t mind that I took your words to heart, too. They helped steer my Mother-Daughter Book Club series, which I set in my old hometown of Concord, Massachusetts — a village of which you would have heartily approved. I had such fun writing those stories that I’m diving in all over again with a new book set in another village, the fictional town of Pumpkin Falls, New Hampshire. So thank you, Jane, for blazing a trail for so many of us who have followed you, pen in hand. We may never measure up to your inimitable genius, but we’ll nevertheless delight in every step of the way. Hmmm…tough question. What Jane Austen means to me is almost indefinable, perhaps because she is so many things that I simply can’t consolidate. She is wit, silliness, and romance—lovely, memorable romance—and certainly, she is comfort. 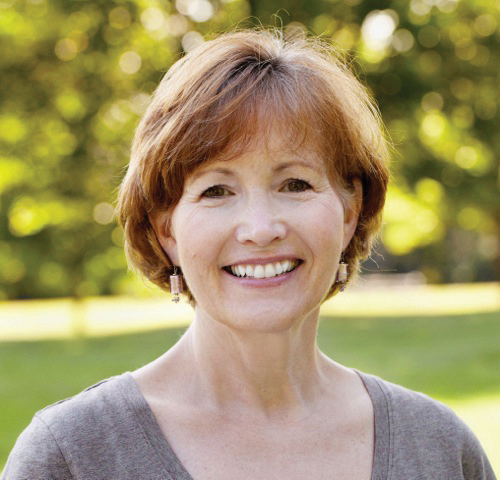 Her own novels bring back a simpler time, even with all the rules and restrictions. And the fictions written by all of her fans offer another connection to that charming setting that was never truly imaginary: The World of Jane Austen. She has infused her novels with such substance that they feel real and relevant even centuries later. That is magic—she is magic, perhaps that’s the best way to describe what she means to me. Jane has a sparkle that I hope will never dim in the eyes of the world’s readers. What would a birthday be without gifts? And thanks to these two truly fabulous ladies two lucky Stiletto Storytime winners will walk away with a little Austen themed literary goodness to help celebrate the occasion. One lucky winner will receive a copy of Pies & Prejudice by Heather Vogel Frederick and another lucky winner will receive a copy Austentatious by Alyssa Goodnight. To enter please share below what Jane Austen has meant to you. When did she first come into your world? How did she make her entrance….do you think she’ll ever leave? Giveaway will end on December 23, 2012 at midnight EST. This giveaway is open to US/CAN addresses only please. Winners will be chosen by random number generator and notified by e-mail. Welcome to Stiletto Storytime’s Jane Austen Giveaway Hop stop. So glad to have so many of my dear Janeites swinging by to try and score some great Jane inspired goodies. I am especially excited to be able to offer one lucky winner a Jane Austen inspired novel that is yet to be published. Austensibly Ordinary by Alyssa Goodnight will not be officially published until January 29, 2013 but you can win an ARC now and be one of the first to enjoy this modern day romp into Jane culture. 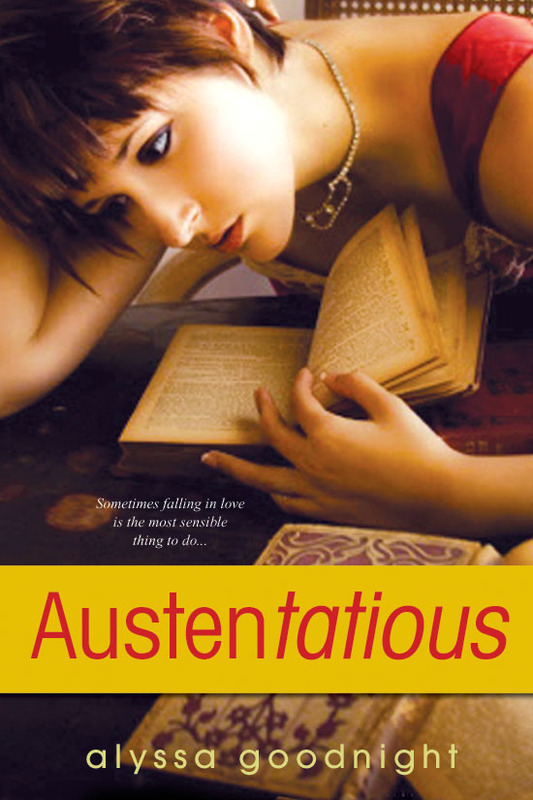 Many of you will remember Alyssa’s novel Austentatious. You can check out my review for that work here. And read below about her latest endeavor into Jane Austen inspired fiction…. Sounds great right? I know you can’t wait to read it just as much as myself. In fact I will be digging into my ARC soon and posting a review here at Stiletto Storytime in the future. In the meantime let’s get to the giveaway…I’m going to make it as simply as possible for all my Janeites. Simply share your favorite Jane Austen quote. It can be from one of her novels, her personal letters…etc. Just share a moment of Jane that has stuck with you until this day. That comment below will automatically enter you into the giveaway. After all what better way to celebrate dear Jane than to share her immortal words? I can’t wait to see what everyone chooses and hopefully hear some new to me quotes as well. So think…dig deep and try to be as original as possible. I will share my own favorite when I announce the lucky winner. Winner will be chosen by random.org and notified by e-mail address. Giveaway ends midnight EST on October 24th 2012. Giveaway open to US addresses only. Good Luck to all and Happy Reading! And of course make sure to check 0ut all the blogs in the fabulous The Jane Austen Giveaway Hop. One to make sure you stop by is author Alyssa Goodnight’s Blog where she is giving away a copy of Austentatious. Wow! What a week/month in reading this is turning out to be! It’s the week before we head out to the beach for vacation. This year we rented a house on Tybee Island for a week so I can’t wait to make my vacation reading list (you know those books I have been wanting to read forever but reviewing commitments or life just kept getting in the way). Can’t wait to pack my books and head out for some relaxation in the sun and water. We’ll be on the beach and have a pool so I can’t wait for my beach reading in the sand and my floating in the pool reading as well. Vacation reading is right up there with my very favorite types of reading. Probably a nice tie between vacation reading and holiday reading if I had to choose. What’s your favorite kind of reading? I will make sure to share my vacation books in a post closer to our departure. In the meantime…. This week/month I am also participating in two great reading events. First off the Summer Wrap -Up Read-a-thon hosted by Jennifer at Some Like It Paranormal and Jude at In Between which takes place from August 4th-12th which means it will even last a day into vacation. Right now I am working on finishing up Pandemonium by Lauren Oliver for this reading event. This event also has tons of mini-challenges and giveaways on offer and a Twitter following at #SWUR. Feel free to join….even though the event has begun you can still sign up here and try to finish up some of that TBR pile. I will be keeping track of my progress here on this post along with my participation in challenges. The other great reading event going on right now is a month long reading challenge that is dear to my pure Janeite heart. It’s Austen in August: A Reading Event which you can learn more about and sign up for here. It’s being hosted by Adam at Roof Beam Reader. I can’t tell you how excited I am for this one since I love any excuse to sit back and re-read Jane Austen. I am going to start this event out by reading my new Penguin Classics fabric covered copy of Persuasion that I won awhile back from Austenprose. It’s such a lovely book…I simply can’t wait. 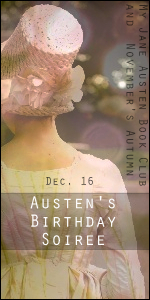 You can follow this event on Twitter with #AustenInAugustRBR . I will be keeping track of my progress in this event on this post as well. Sixteen-year-old Emma Townsend feels as if she doesn’t quite fit in anywhere within her own life. A scholarship student at the exclusive Lockwood Prep, Emma is used to feeling out of place among the other wealthy and somewhat materialistic students. In fact she mostly seems to only find solace within the pages of a book. Without many friends she has become accustomed to being alone in many ways but it still hurts at times especially when she feels surrounded by individuals who just don’t understand her. Even at home she maintains a somewhat strained relationship with her father and stepmother as she still grieves for the loss of her mother at a very young age. On the love front Emma remains solitary as well since her main romantic relationships consist of unquenchable crushes on both her much older English teacher and a once inseparable childhood friend. In the case of her childhood companion, Gray Newman was the little boy with which she spent countless hours of play but now he is an undeniably handsome teen who happens to be insanely popular. Both these characteristics seem to now make Gray exist completely in another world from a quiet bookish wallflower like Emma. In fact it seems both her loves are achingly unreachable much like the famous character of Mr. Rochester within her mother’s favorite book Jane Eyre. Since escape into books has at times become Emma’s only relief she finds comfort in reading a novel so close to her mother’s heart. However nothing could ever prepare her for what happens after a freak accident when she actually becomes part of the story. While innocently reading Jane Eyre the classic tale becomes all too real when Emma finds herself lost within the story as the main character of Jane. Is Emma Jane or is Jane Emma? It’s almost too confusing to decipher as many of the actual people and events in Emma’s real life become one with what was once simply a book. As contemporary young adult fiction and a literary masterpiece combine A Breath of Eyre becomes a work full of connections and twists and turns that will keep readers glued to its pages. Emma’s life at Lockwood Prep and her beloved Jane Eyre intercept to create a dream-like and yet remarkably real world in which to get completely lost. Amazingly within this weaving together of Charlotte Bronte’s beloved tome and the life of a modern day teenager, Mont has managed to also create characters that transcend to take on dual roles within both settings creating a well-blended piece of fiction that is exceptionally unique within the arena of young adult literature. A Breath of Eyre truly stands out as a seamless combination of Emma’s every day life and the fantasy world that is fiction from another time. In short A Breath of Eyre truly becomes a breath of fresh air for readers looking for that special touch that makes a book stand out among the pack. 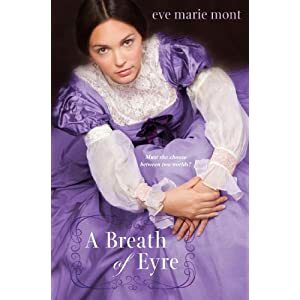 A Breath of Eyre by Eve Marie Mont will be released on March 27, 2012. Children’s literature is really important to me not only as a children’s librarian but also as a reader and a parent. There is something about the books that we read as children that shape the readers we become later in life. They can often sometimes even depict or affect whether we will become readers at all. 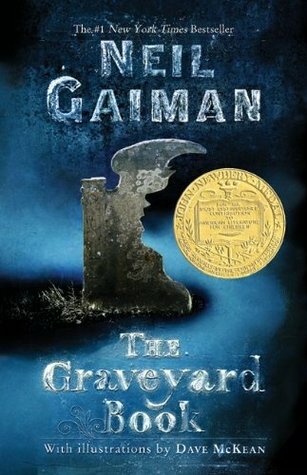 The John Newbery medal is an award given by the American Library Association to an author for their contribution to American literature for children. The award has been given since 1922. It is named for John Newbery, an 18th century English publisher of juvenile books. I recently saw a friend and former library colleague at Learning to Play the Bassoon create a sort of reading challenge by looking up the Newbery winners at certain points in her life and I wanted to take it and make it my own by doing something similar. 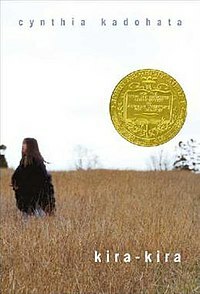 Below I have created a list of books that have won the Newbery Medal during my lifetime. I thought it would be fun to read each of these books this year. I really don’t read as much children’s literature as I should anymore now that I am at home with Little Man and this seems like a fun way to incorporate some into my current reading. I would love for others to undertake this challenge with me or even just commit to reading one Newbery winner this year such as the book that won for the year you were born. You can easily look the winning and honor books for each year here. Just for the fun of it….I would love for everyone to share what book won the year you were born and whether or not you have read it? Gemma Hardy is no doubt the modern day Jane Eyre of our time. Orphaned at a young age and brought from her native land of Iceland to be taken in by her Uncle and his own small but prosperous family, Gemma grew up in a relatively loving environment until the untimely death of said Uncle. Upon his demise Gemma’s life became one of unhappiness and abuse at the hands of a jealous Aunt and cruel cousins. Eventually the young girl was tossed away to a boarding school where she was all but a servant, still the ever resilient child showed herself to be composed of more than many ever believed her to be. Surviving the desperate conditions of Claypoole School and the death of a dear friend, Gemma perseveres to attain her education and seek employment beyond the walls of the institution once she has become of age. Enter this novel’s tragic hero and possible tragic flaw: Mr. Sinclair who just happens to be the guardian of a young girl named Nell in need of a governess. Sound familiar? It should. Touted as the contemporary Jane Eyre of our time, Margot Livesey’s The Flight of Gemma Hardy has been promoted in such as way as to create enormously large literary shoes that claim to have been filled before the first pages were even lightly turned by the majority of everyday readers. However all is not as well written, as it may seem or as it has been advertised. The modern day Mr. Rochester’s secret lacks power much as the romance between him and Gemma lacks spark and magnetism. While one of the hallmarks of Jane Eyre is a detached sense of emotion, it also a raging sense of passion that ignites between her and her lover that make the novel what it is and is celebrated for being. That bond makes the novel and unfortunately is missing in this newest interpretation. In this department the relationship and interactions between Gemma and Mr. Sinclair pale in comparison and ultimately fall devastatingly short. Nevertheless the experience of losing all hope of love and affection at such a young age only to grow up and possibly find it in the most unlikely of places; is a great one. It also makes for a great story no matter the time in which it is written. Gemma’s ongoing search for love and family among the wilds of Iceland lend nicely to taking on some originality beyond the barest of modernizations. The story of Gemma Hardy is one with small caches of originality mixed with an undeniable blue print of one of the most celebrated pieces of literature ever written. It also is a testament to the writer’s talent for inspiration and re-invention. Incidentally it is also impossible to put down. In the end the book while it cannot be said to be anything less than a reasonably well written piece of literature it also manages to more than anything shine a light on Charlotte Bronte’s true masterpiece as not only the gem that it is but also as a work of inspiration for writers of today and the future. My dear friends…it is only right that today we celebrate the birth of one loved by so very many. Today is the birthday of Miss. Jane Austen and what better idea than to throw her a birthday soiree of sorts. I do hope you will join us. The lovely Maria of My Jane Austen Book Club and Katherine of November’s Autumn are hosting this most charming of events. There are blogs to be visited (listed below) and austenesque giveaways to enter at every one. However before I get to the prize portion of this post, I do want to give dear Jane a gift. Out of all the wonders I thought to give her…a new freshly trimmed bonnet, an exquisite dress-dare I say a barouche? No..none felt just right. And so if I could I would give Jane just the perfect gift. It would be that of more time and perhaps more quill and ink so she could create more stories for us all to enjoy. 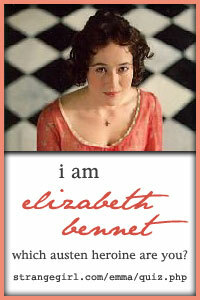 One very lucky soiree attendee will win their own Austen inspired party favor. The fetching Lucinda Brant has been kind enough to provide a signed hardcover copy of her novel Noble Satyr: A Georgian Historical Romance. Look for a review of this rollicking romance in later days on Stiletto Storytime. I dare say Jane would approve. Giveaway ends midnight EST December 23, 2011. This giveaway is open internationally so all are welcome to enter. Winner will be chosen by random.org and notified by e-mail address or Twitter. Good Luck to all and Happy Reading! To enter simply comment below and share any memory of Jane that you can think of. It can be of one of her works or even an interest in one of her works if you are a newbie. Also don’t forget to visit the other blogs participating in this wonderful event and check out their giveaways as well. Stiletto Storytime · The stylish ramblings of a twenty something children's librarian.